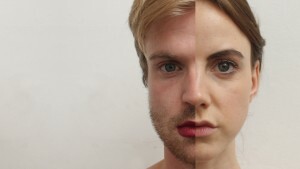 A powerful exploration of gender identity. Genderfluid, trans, asexual, cisgender, nonbinary – what do these terms mean? What does it mean to be ‘male’? 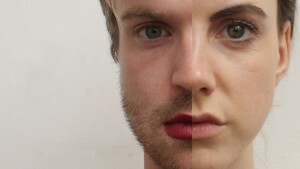 Or ‘female’? And what if these labels just don’t fit who you are? Welcome to the Normalisation Centre – a world where personal identity is scrutinised by an invisible authority figure and being processed sometimes involves a difficult choice. 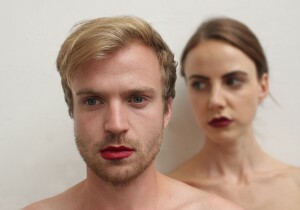 Analysing mythology and folklore, the system presents different global and historical perspectives on gender identity – but the instruction always remains the same: you must pick one. 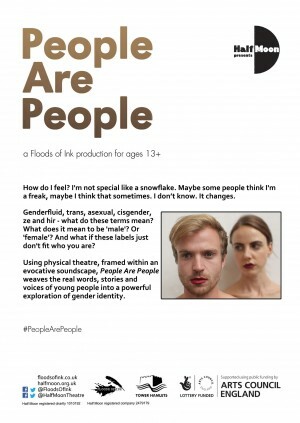 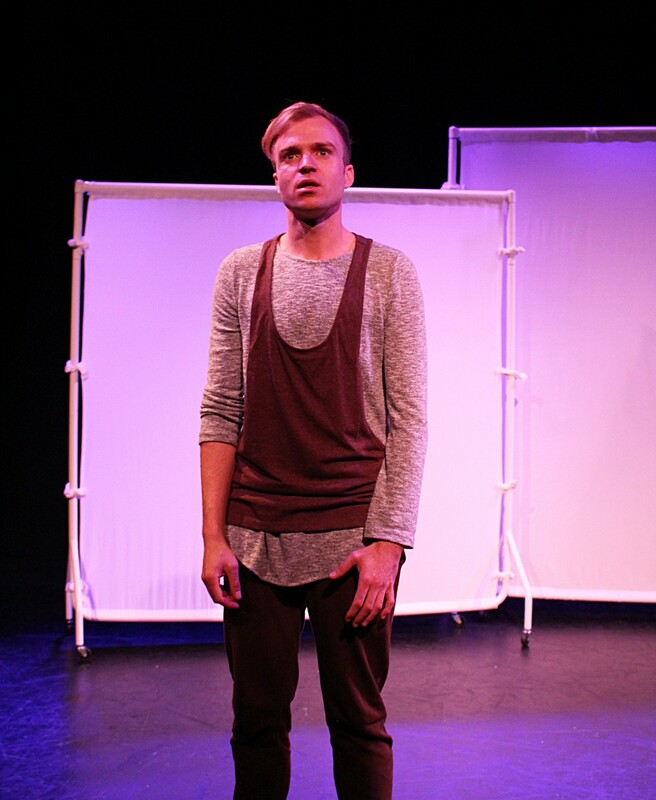 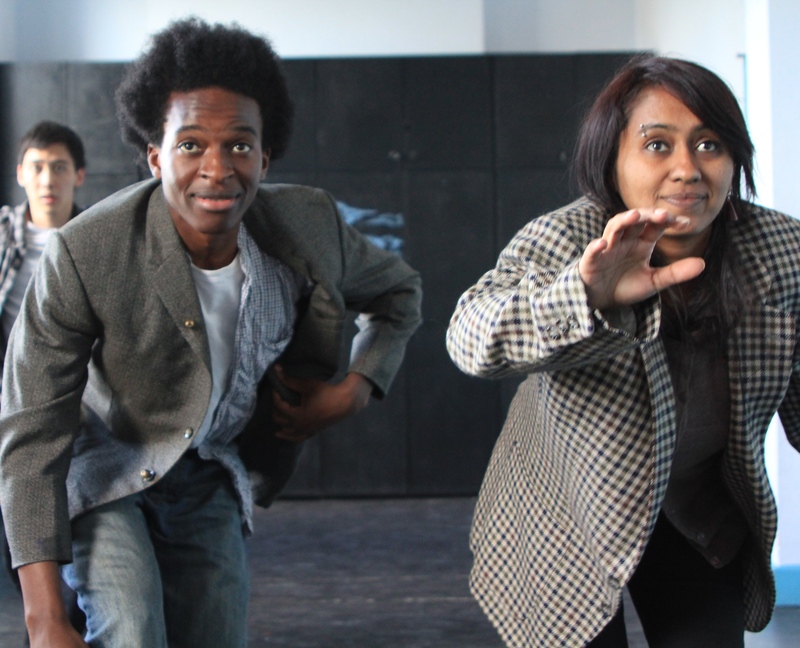 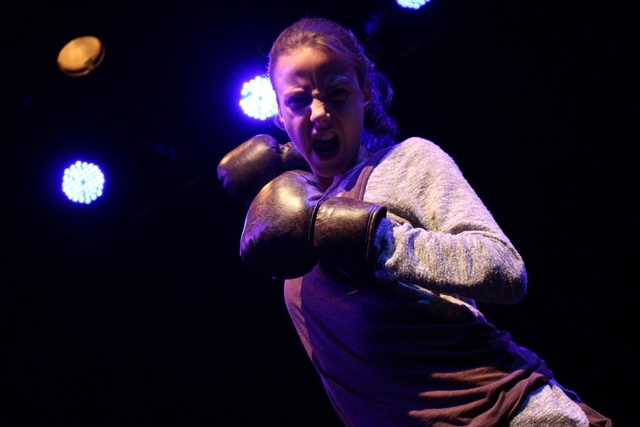 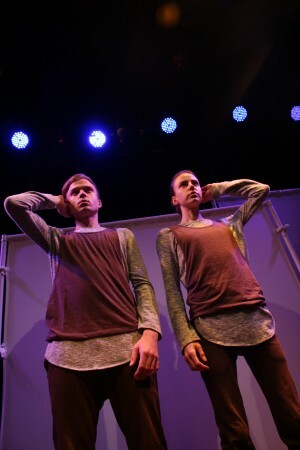 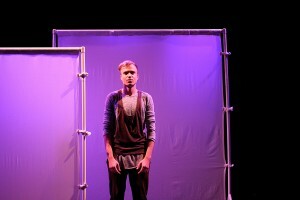 An evocative soundscape and physicality combined in People Are People, which wove new writing and the real voices and stories of young people, into a powerful exploration of gender identity. 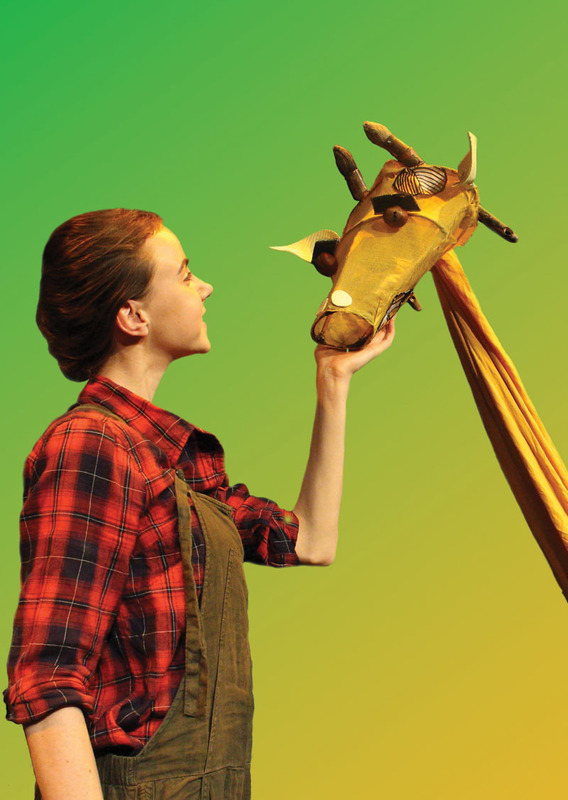 The performance was immediately followed by a talkback/Q & A session, giving audiences an opportunity to discuss the creative process and the themes raised in the production. People Are People was developed in consultation with specialist gender equality and diversity charities The Great Initiative and Metro: Embracing Difference. 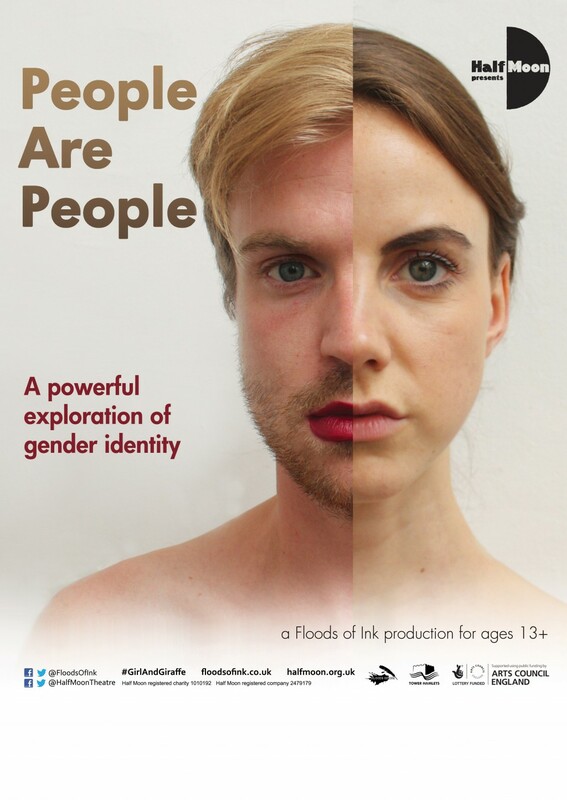 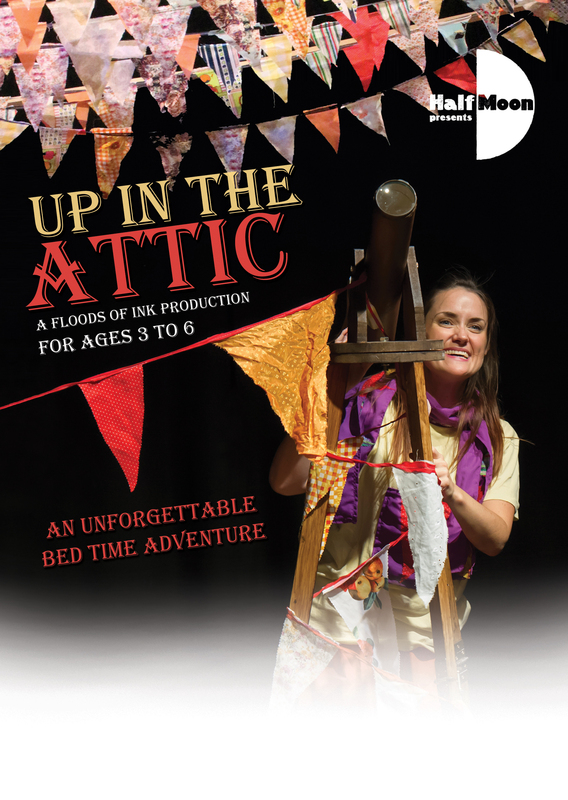 A Floods of Ink production toured nationally as part of Half Moon Presents. As part of the development of People Are People Floods of Ink talked to other artists in different fields about how they saw gender and asked them to submit work that could be used in the production. 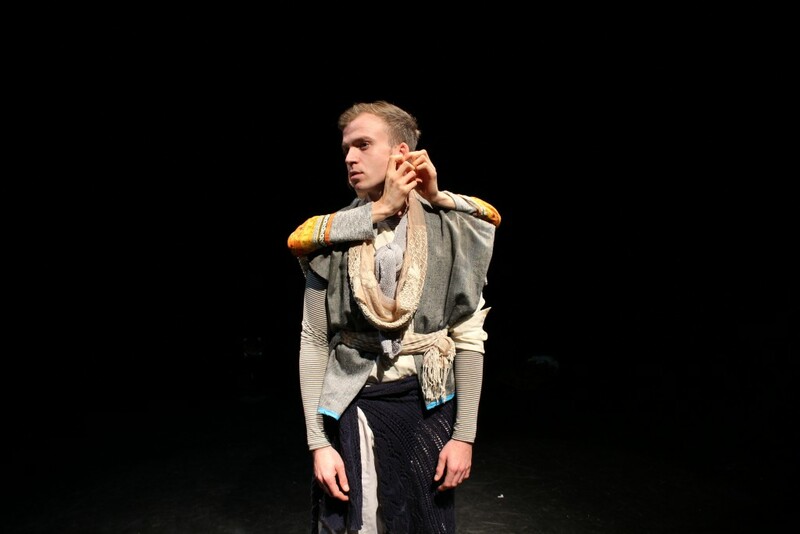 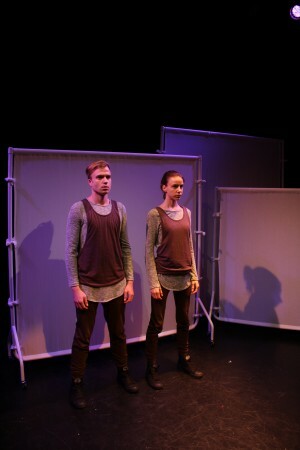 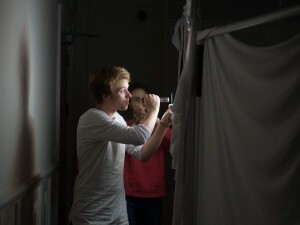 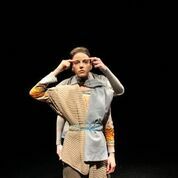 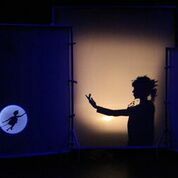 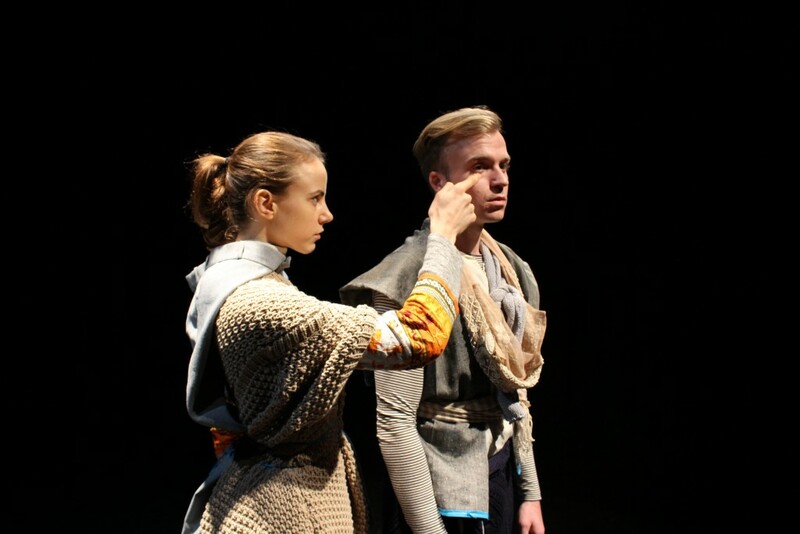 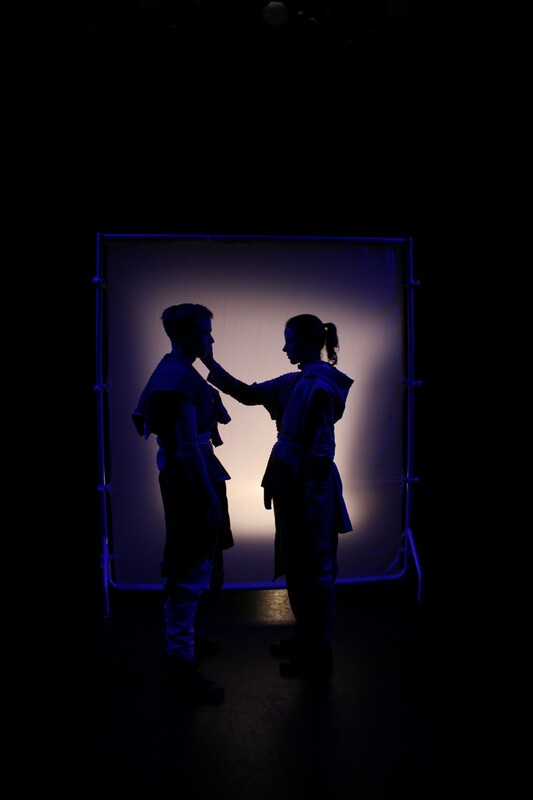 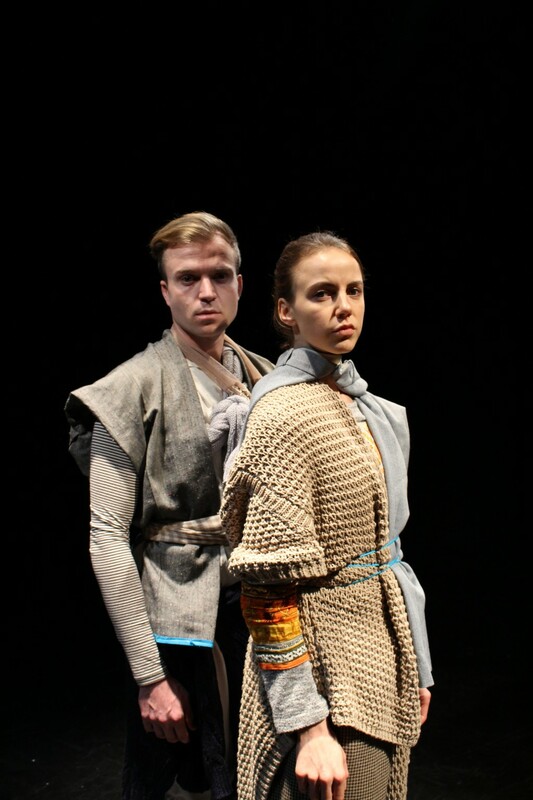 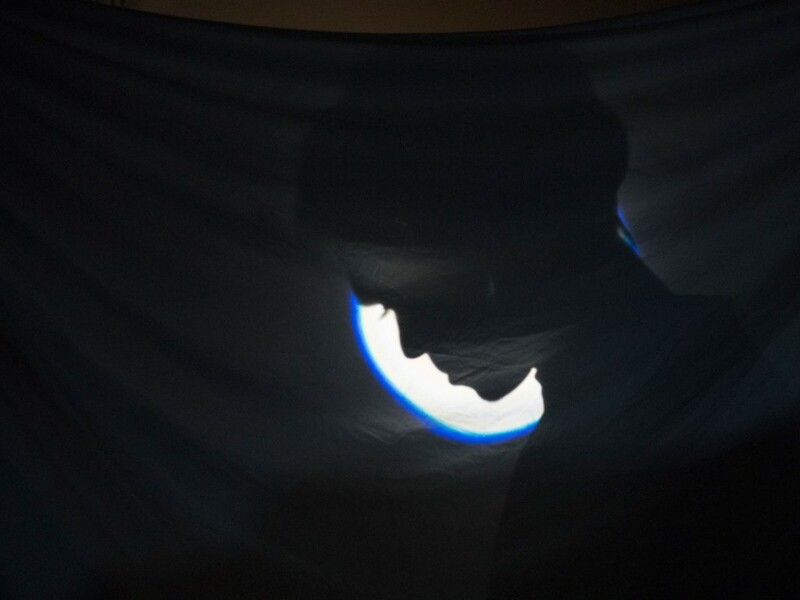 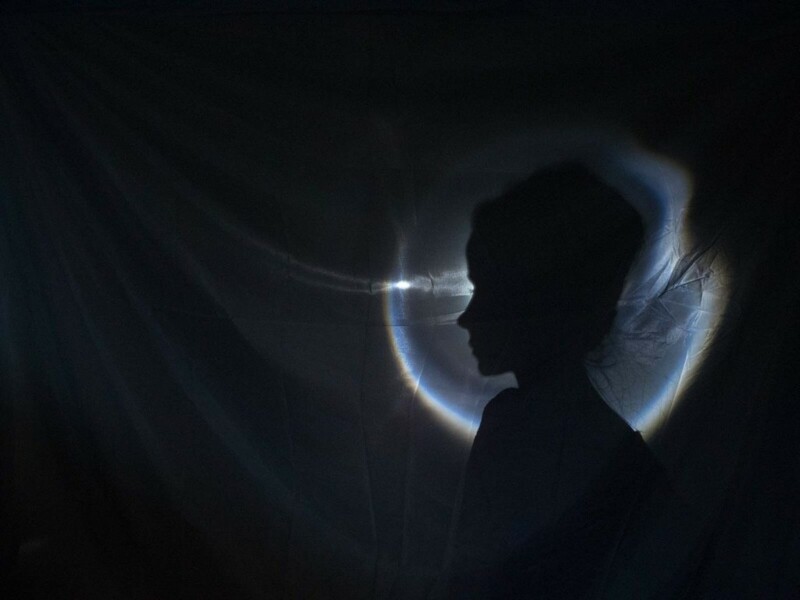 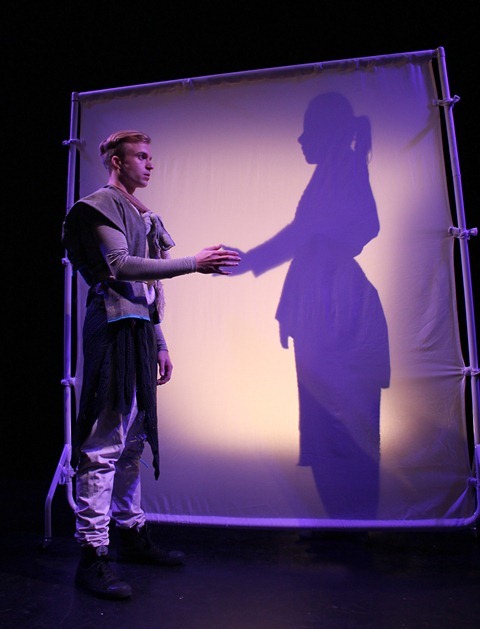 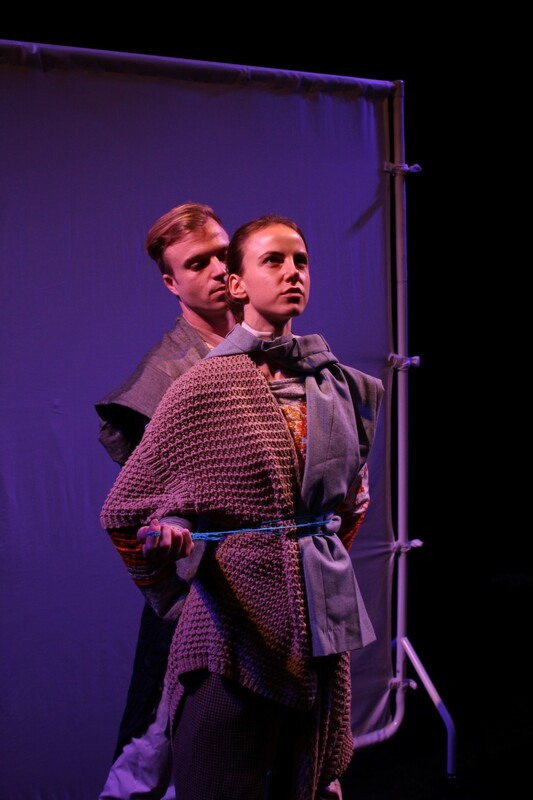 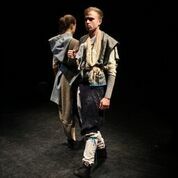 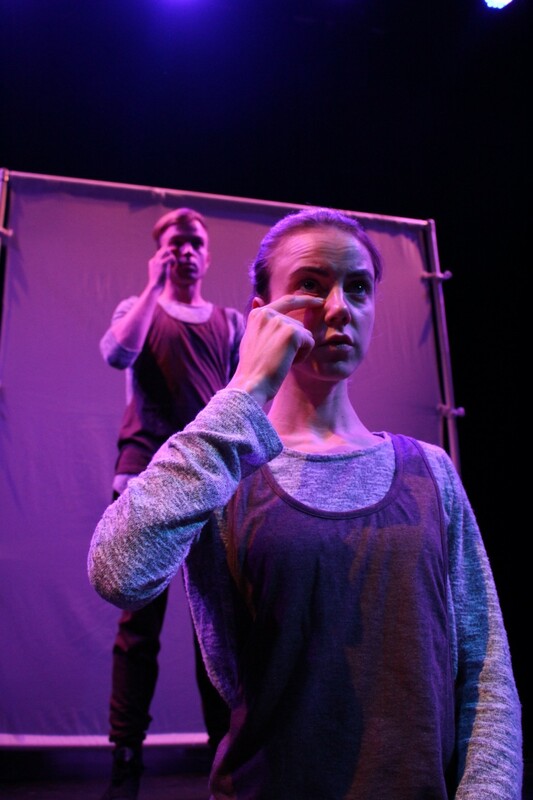 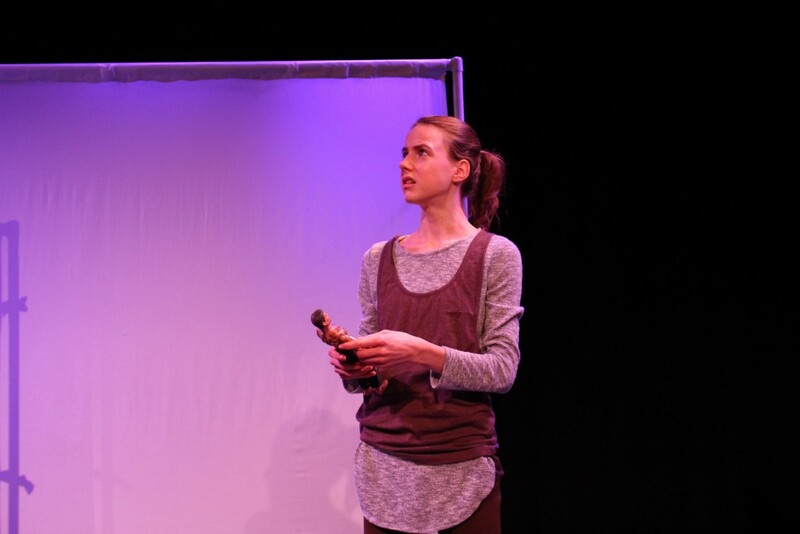 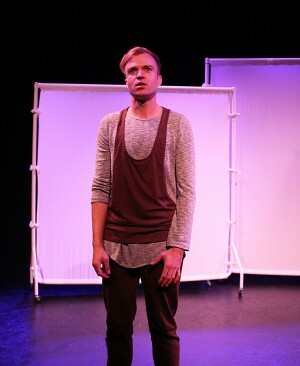 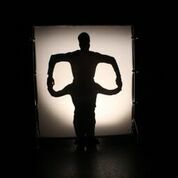 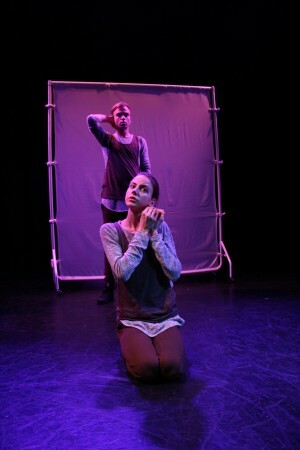 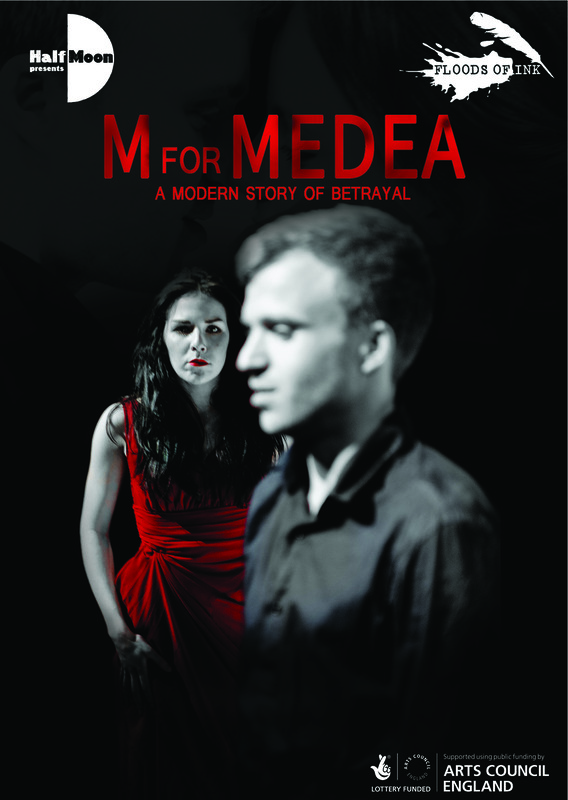 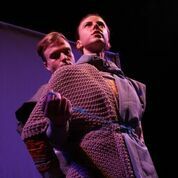 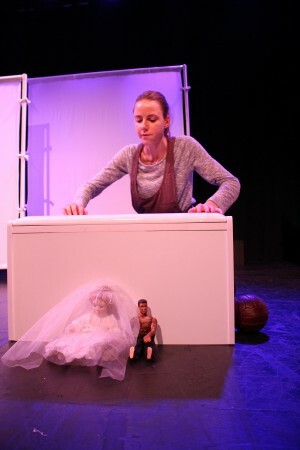 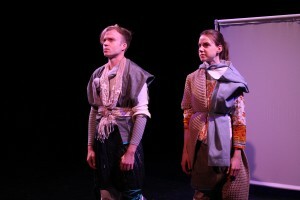 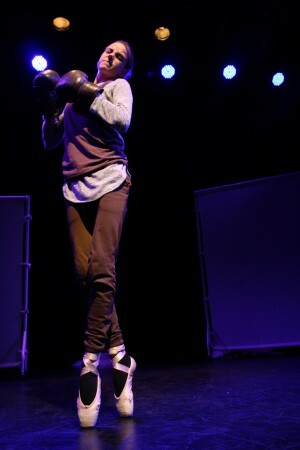 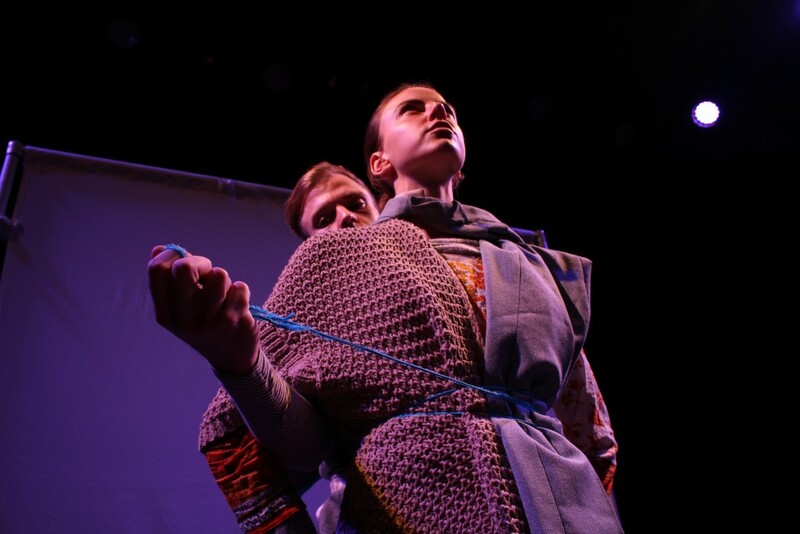 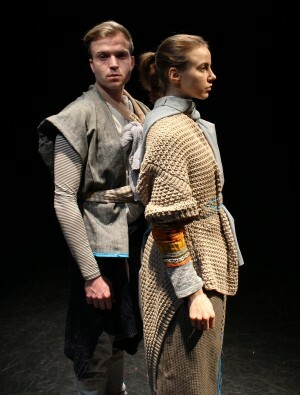 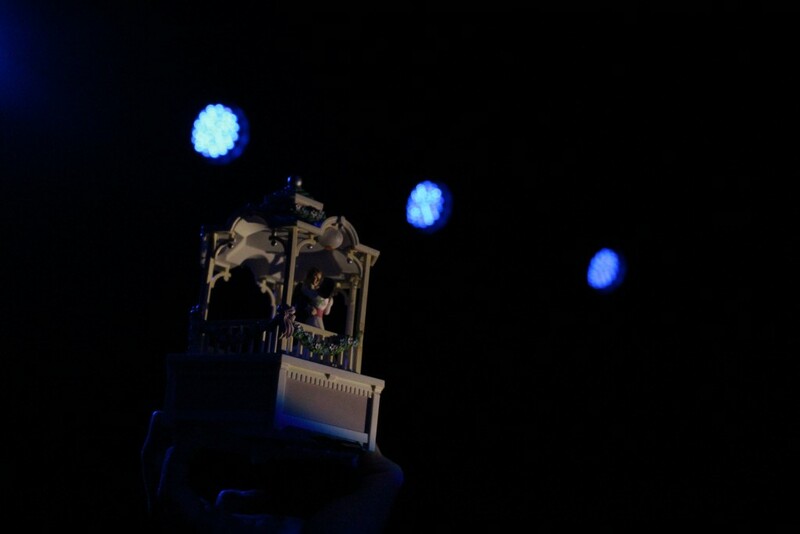 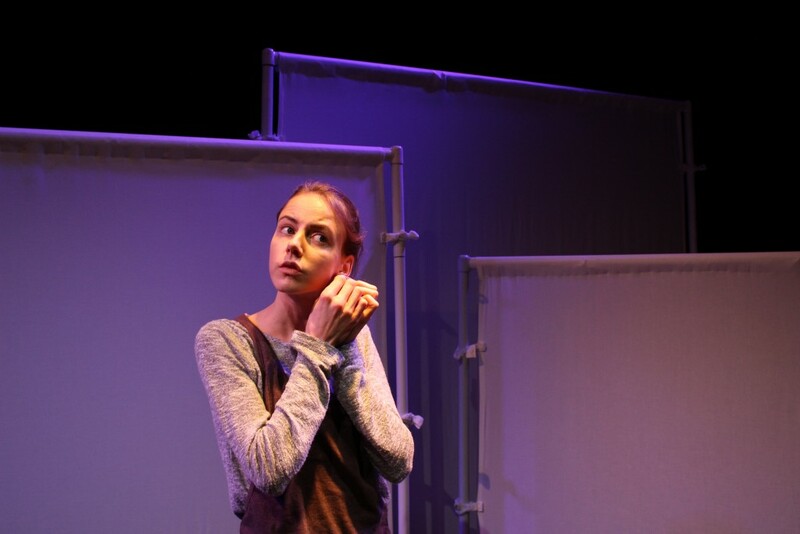 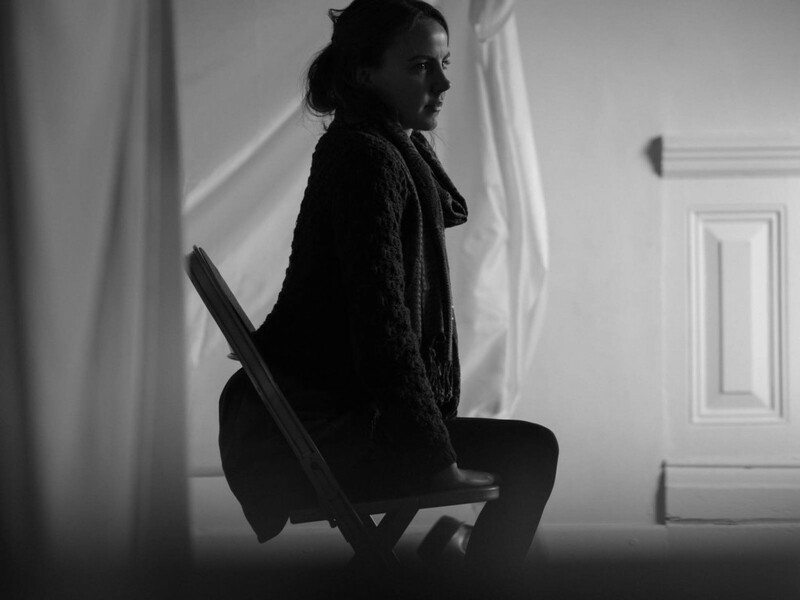 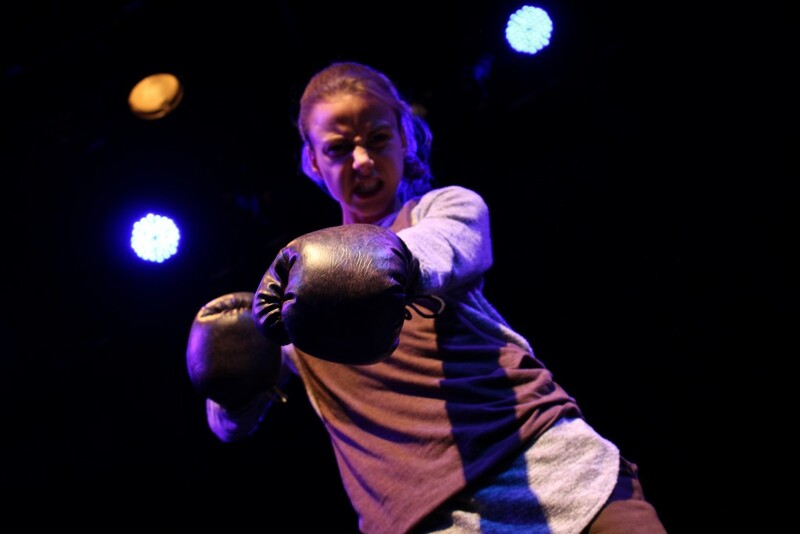 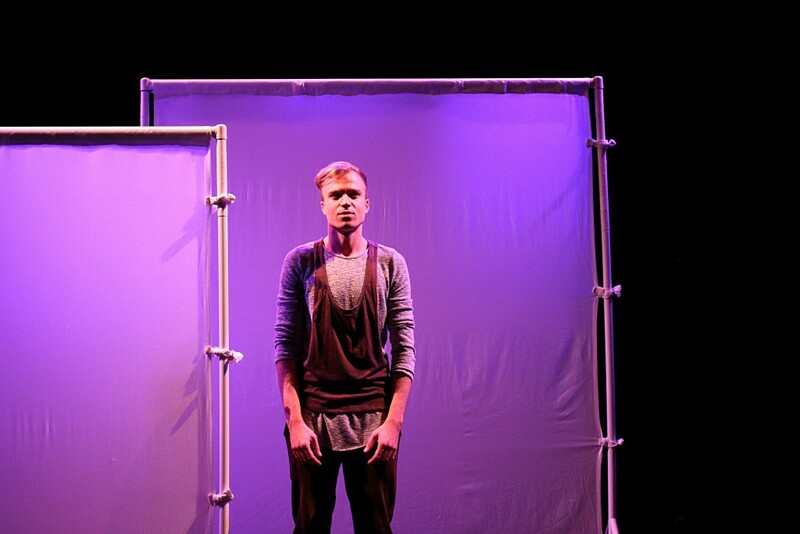 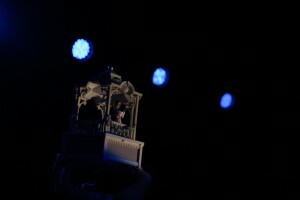 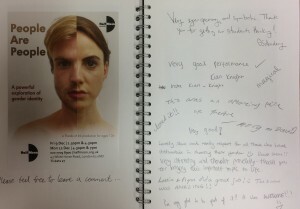 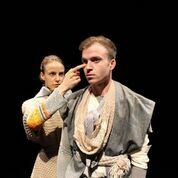 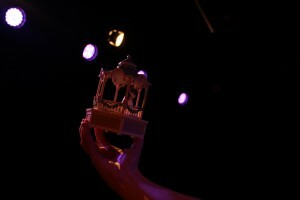 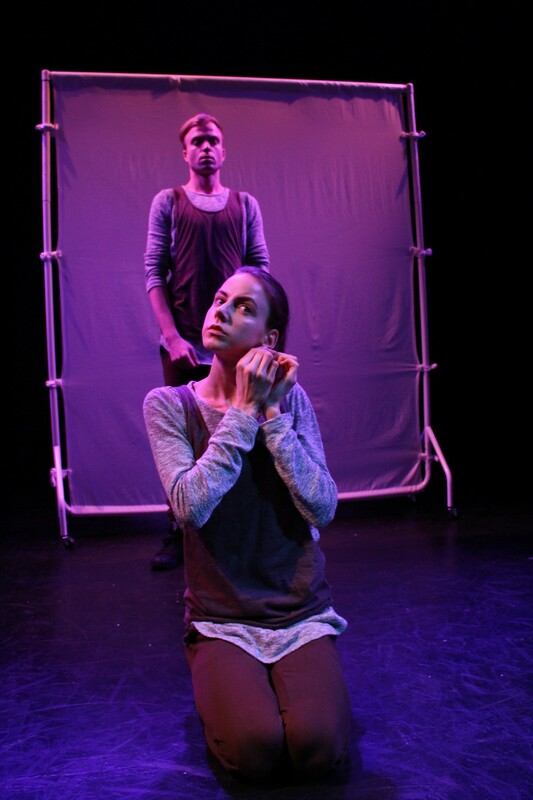 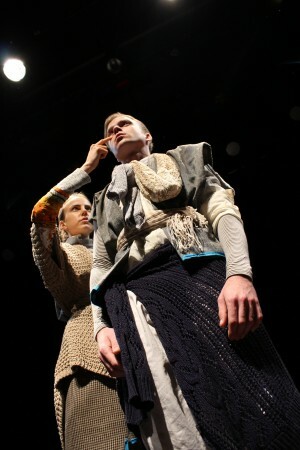 The chosen image (shown in the ‘Artwork and Rehearsal Photos’ gallery above) was by Rebecca Walmsley, which was integrated into the post show feedback publicity for the performance. 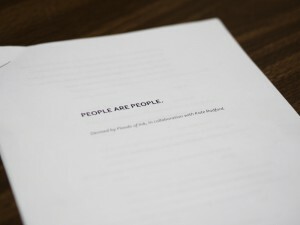 Below, is a note from the artist. 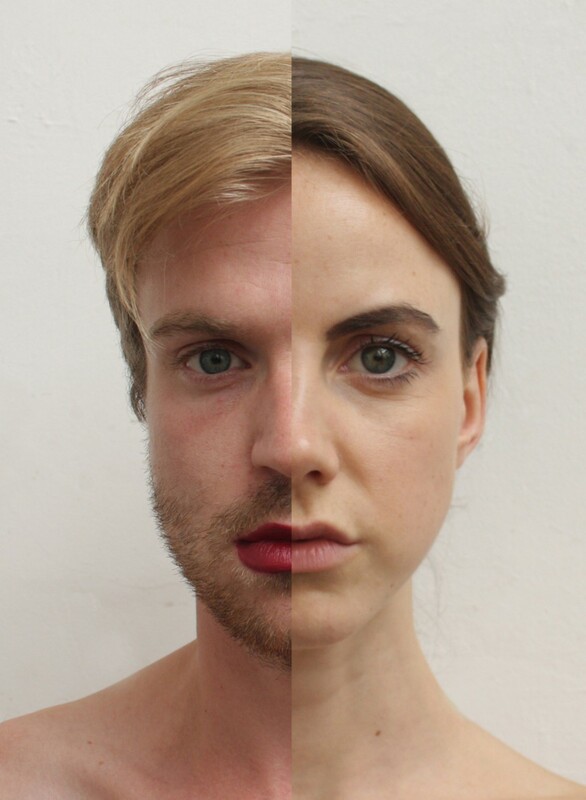 “I wanted to create something that merged the genders almost together into one, where you couldn’t necessarily distinguish between the two. I wanted to adapt feminine features to the central face to create it as more feminine yet not completely as it is a man’s face. 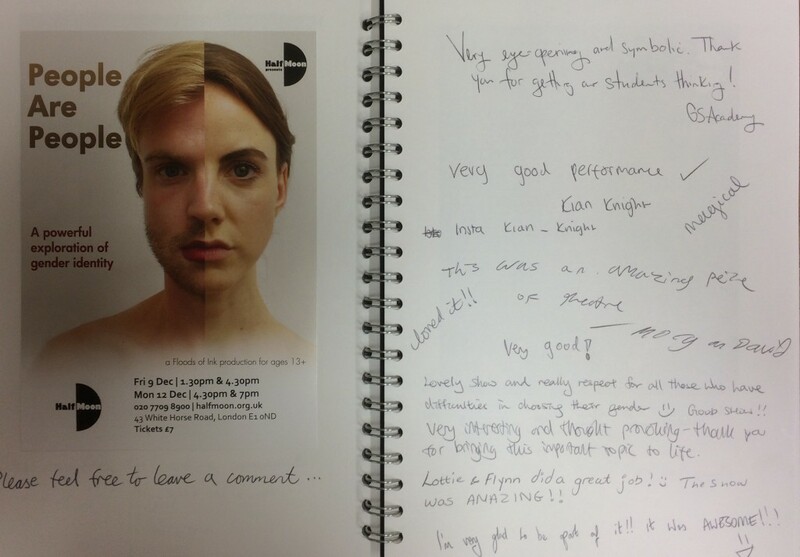 “This feminine feature I drew on using pencil is something I feel women do every day, when they apply make-up they accentuate bone structure and face shape they do so in a very masculine way (contouring). 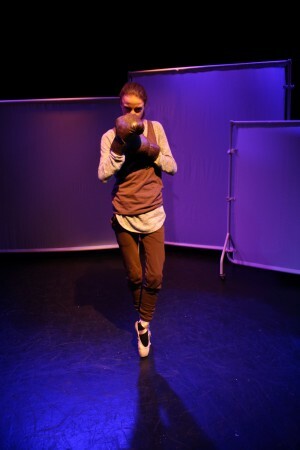 “I was also looking at theatre masks, which don’t represent a gender (what inspired this piece). I wanted to somehow place it onto the photograph but I wasn’t sure how I would do this as the faces are both neutral and the masks are either happy or sad. 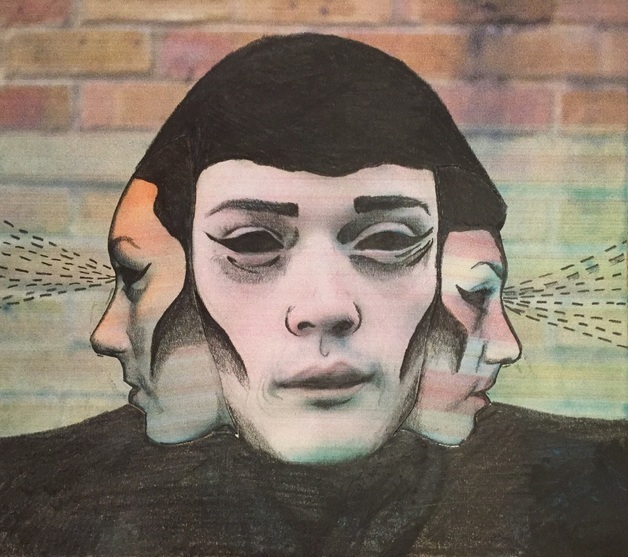 So I didn’t draw a mask over the face, and instead created my own, by blacking out the eyes etc. 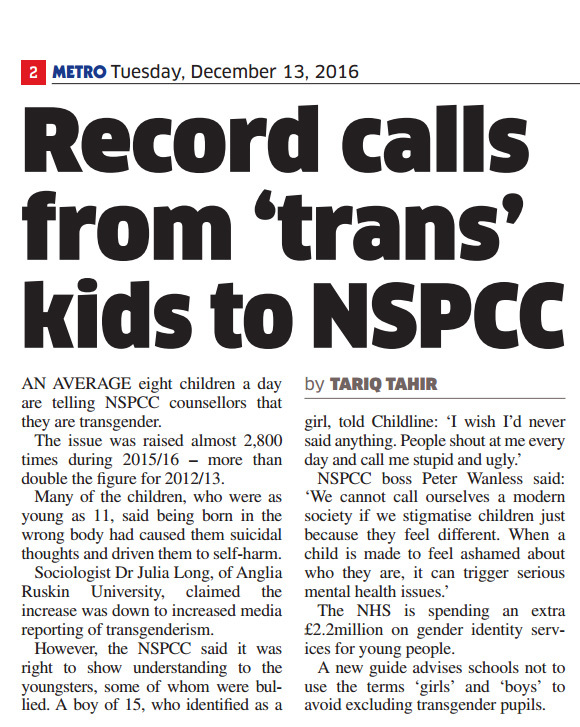 I wanted it not specifying a gender and to remain an anonymous individual.